Do you like having access to exclusive places? Good luck with this one. The Most Exclusive Website is a webpage that does the opposite of what everyone else is doing on the Internet. 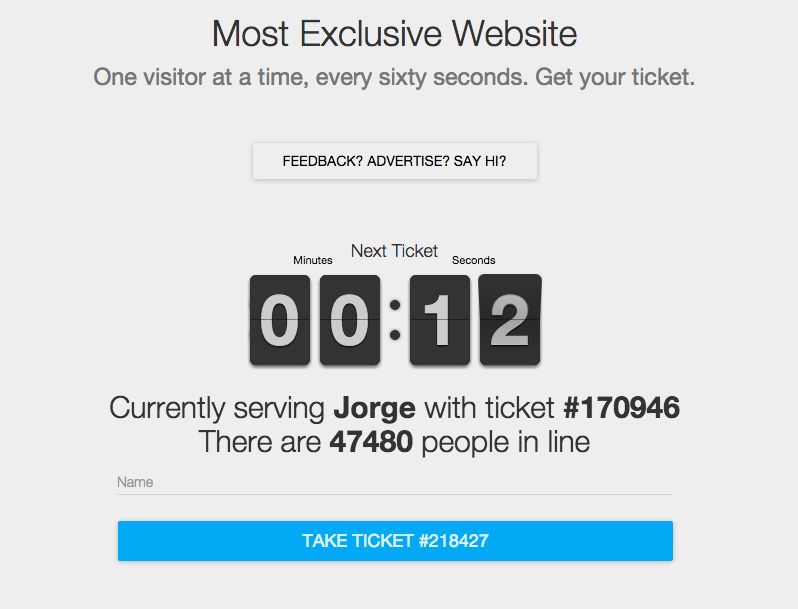 Instead of granting access to a wide audience it only lets one person in at a time. So arm yourself with a lot of patience because you are going to have to grab your ticket and wait for the other (currently) 47,480 people before you if you want to know the content of the website. We are still in line waiting to find out. Come join.